Zero-turn lawnmowers are a standard form of riding mowers. They are called as such because of their turning radius which is zero inches. 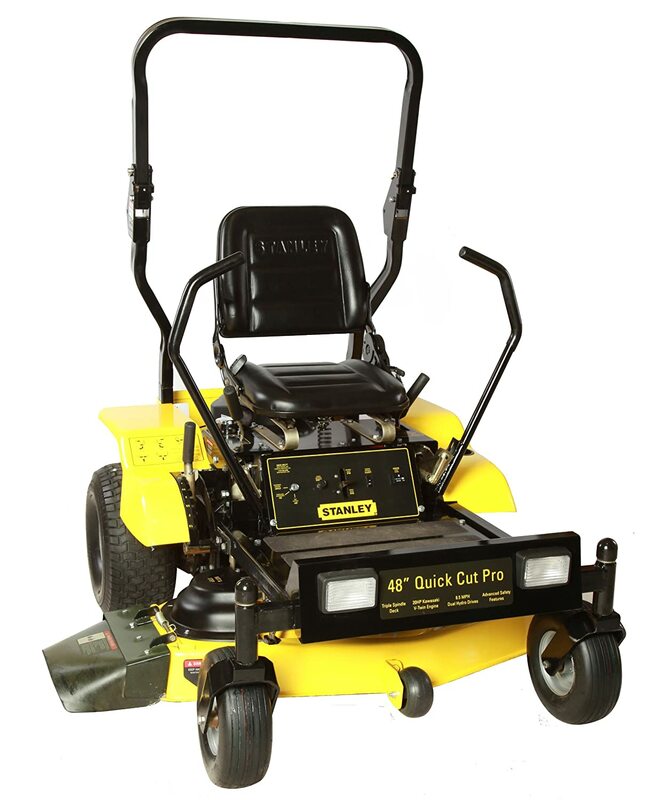 There is a wide range of models for this type of lawnmower from commercial level models, to homeowner models. With all the different models and brands, which all have their own method of achieving the zero turning radius, it might be hard to find the right model for you. This article is here to assess different models of this lawnmower so that you will be able to choose a model before shelling out the cash for it. Here are some home owner type models for you to select from. This lawnmower from Toro boasts a 21.5 horsepower Kawasaki V-Twin engine to accommodate your mowing needs. It makes use of two wrap-around levers for easy steering. To make the task more comfortable for you, it has an 18 inch adjustable seat so that you can set it at height that suits you. It has a cutting height range of 1.5 inches to 4.5 inches so that you can trim your lawn to your liking. The Toro TimeCutter has a 42 inch mowing deck which delivers an amazing performance in almost any condition. You also have the option of adding a Recycling Kit to make your very own fertilizer, or a Twin Bagging system to suit your liking. Another great feature of this lawn mower is the Smart Speed control system which lets you choose different ground speed ranges by just flipping a level without the hassle of change the speed of your blades or engine. The RZ4623 zero-turn lawnmower from Husqvarna has the 23 horsepower Courage engine from Kohler. It has foam padded levers for steering for maximum comfort while working on your lawn. It has an adjustable vinyl seat which is comfortable enough so that you won’t get sore. The range of this lawnmower’s cutting height is from 1.5 inches to 4 inches showing that it is a very versatile machine that allows you to choose the height you want your lawn to be. And to get the task done quickly, it has a cutting width of 46 inches. This item also features a maintenance-free transmission to keep things hassle-free. You can also connect a water hose to this lawnmower to help in keeping the cutting deck clean. But of course, you would still have to clean the mower right after using to really keep it neat; the water hose connection is just there to make the job faster. This is a hassle-free lawnmower that is ready-to-use once you get it and does not require too much effort to start using which is why Amazon users have given it an average rating of 4 stars. The Stanley 48ZS runs on a 20 horsepower Kawasaki V-Twin engine. It has a high-back seat for maximum comfort while working which will keep your back strain-free. It makes use of levers for easy steering as you move along your lawn. Its cutting width is a whopping 48 inches which allows you to quickly mow your entire lawn leaving you with more time to work on other things. Even when you aren’t moving at high speeds, accidents can still happen, luckily, this lawnmower features a seatbelt for those who are very particular about safety. This is a simple and very easy-to-use lawnmower. Zero-turn mowers are great because they allow you to cut your grass easily, even when you have to go around obstacles. This means that you won’t have to spend too much trimming with other landscaping tools. 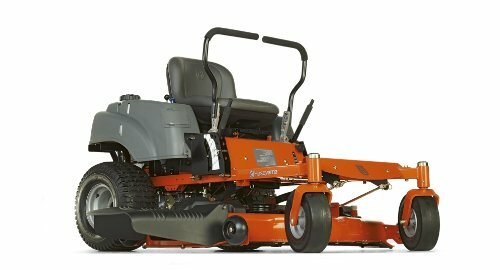 These models are definitely worth checking out and purchasing if you’re really interested in getting a zero-turn mower.